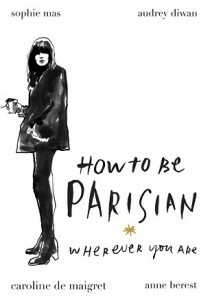 How to be Parisian Wherever You Are is a fun, playful book written by four Parisian women. The content is pretty spontaneous and full of random things: food recipes, movie suggestions, place recommendations, Paris cutouts, common words between English and French etc. The content is pretty lightweight, but what I really enjoyed about was the mood conveyed and how it made me feel. Through imagery and the feminine touch in the language, I felt like I was understanding what being a Parisian woman was like. He may not be perfect, but at least he really exists. Overall, it’s a light read for summer and a good way to dream about visiting Paris.